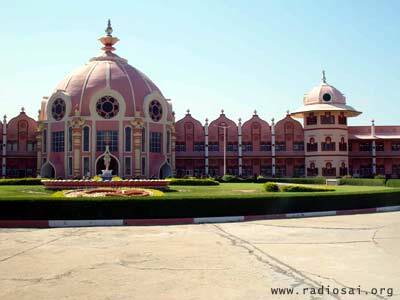 Sri Sathya Sai Institute Of Higher Medical Sciences SSSIHMS Today - Take a Tour! 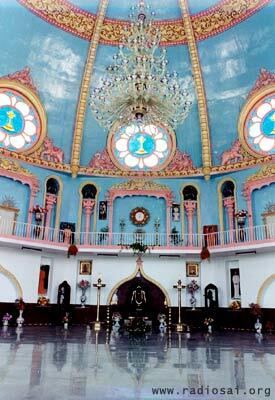 Ready to take a photographic tour of Sri Sathya Sai Institute of Higher Medical Sciences? 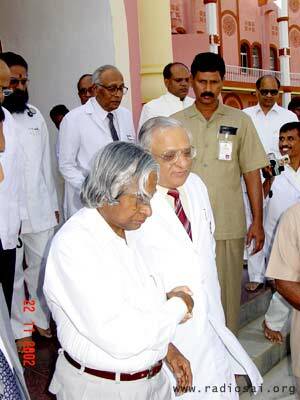 Here's some pleasant news…joining you in this tour is none other than His Excellency Dr. A. P. J. Abdul Kalam, President of India! Welcoming you at the Central Dome of the Hospital is the Director Dr. A. N. Safaya, himself. Formerly, the Medical Director of the All India Institute of Medical Sciences, Dr. Safaya has been the Director of SSSIHMS since inception. The Central Dome is Cathedral like, with its ornate designs, the magnificent altar, the dazzling chandelier and the Venetian glasses. It here, that all patients, staff and even visitors, say a little prayer, before they enter the hospital. A miniature model of the hospital is right outside the dome, for you to behold. 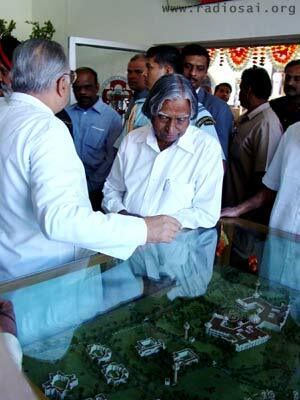 They say that the artist took more time for making the model, than Swami did, for building the entire Hospital! Let us move on, to the Cardiology Outpatient Department. Of course, this OPD, like all other OPDs in this Hospital, is packed with patients. 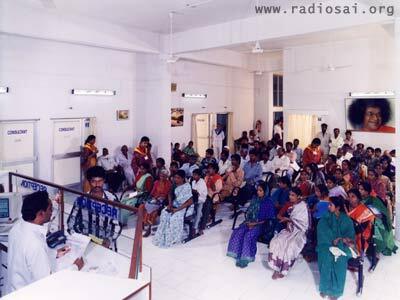 The cardiology OPD sees about 125 patients everyday. The patient first gets registered in the OPD, where he is given a unique Hospital ID Number. 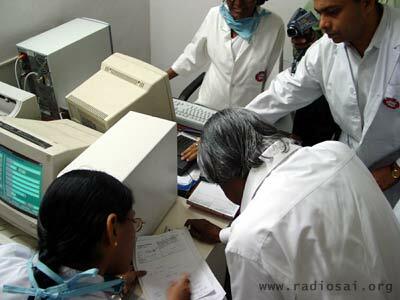 The records of all patients are computerized and kept in the indigenously developed Hospital Information System. 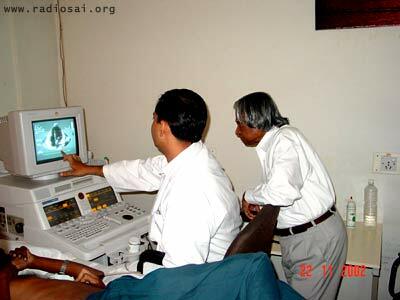 The 2D-Echo machines are the workhorses of the Cardiac OPD. They give a dynamic two-dimensional image of the heart and are extremely useful in diagnosing a majority of heart diseases, including complex congenital diseases. Time to move on to the nearby Imaging Department…Dr.Reddy, Consultant Radiologist, explains the working of the 1000 MA X-Ray machine and fluoroscope. 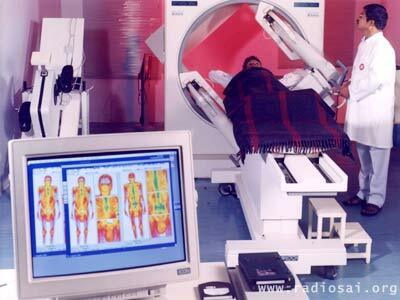 These machines are vital for diagnosis. The X-Ray is the surgeon's favorite 'guidebook' to the patient, on the operating table. A much more 'detailed guidebook' is the Computerized Tomograpic (CT) Scan of the patient, which gives the Doctor a slice-by-slice view of the diseased area. 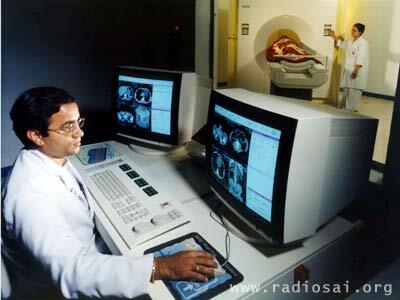 The CT Scan is extremely useful diagnostic tool for aneurysms, tumors and bone injuries. Using the Gamma Camera, doctors obtain very clear images of various parts of the body, such as the heart, kidney and thyroid gland. To obtain these images, tiny amounts of radioactive materials (called "tracers") are introduced into the patient, which emit radioactive gamma rays that are detected by the machine. 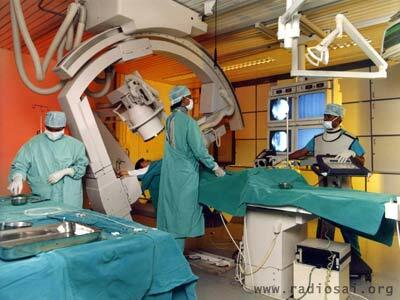 Now…to the Cathlab, in the first floor where the Cardiologists are busy performing an Angioplasty. There are two Cath labs (a Monoplane and a Biplane), where various diagnostic and interventional Caths are performed. Dr.Iyer, Consultant Cardiologist, tells that both the Cathlabs are equipped with digital image converters that can store patient information. 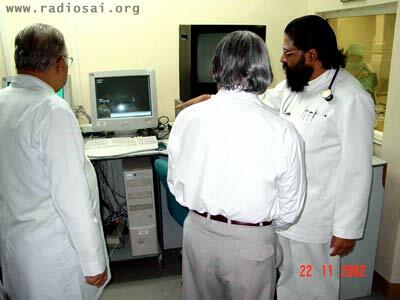 The Cathlab immensely interests the President, who as a scientist had previously designed an indigenously made stent, and here after plans to design indigenous and economical Cathlabs, for the ailing and indigent in his country. The broad corridor from the Cath lab leads to the adjacent operating rooms, facilitating quick surgical interventions in case of an emergency. 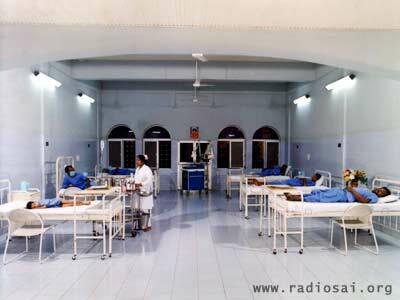 The two operating rooms are utilized to the maximum and are equipped with heart lung machines, online gas monitoring facilities, cellsavers, centrifugal pumps; and of course, exceptionally skilled surgeons! The Intensive Care Unit, adjacent to the operating rooms, is geared to give the best post-operative care to the patient. There are even infant warmers for the babies. 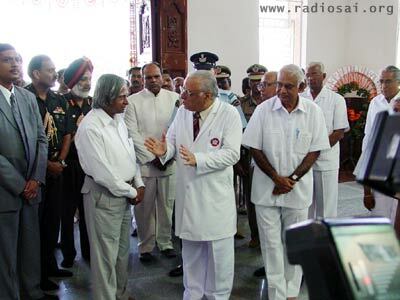 The President (who has put on the gown before entering the sterile area) is obviously impressed with the level of care Dr. Neelam Desai, Surgeon Incharge, gives to her patients. Once the patients are stabilized, they are moved to the wards, where care, and love along with, accelerates their recovery. The patients are all praise for the nurses, here. 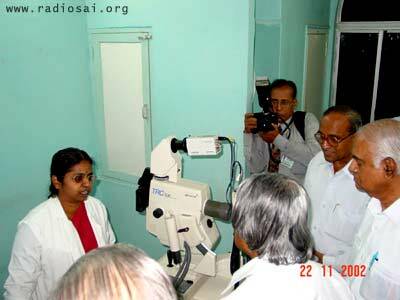 The radiance of His Grace is visible on the faces of the patients…. The pain has vanished and smiles say it all. A quick detour, to the Department of Urology. 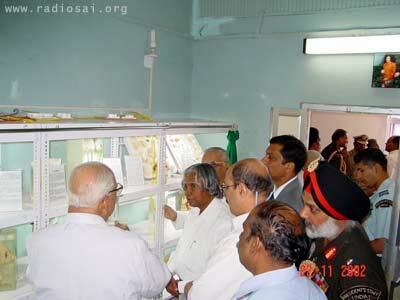 Here, the President is stunned by the display, Dr.Bhat, the Department Chairman, has upon the shelves. Huge stones (some of them rocks! ), deadly tumors, and totally diseased kidneys that once threatened patients' lives…lie harmless on the shelves. 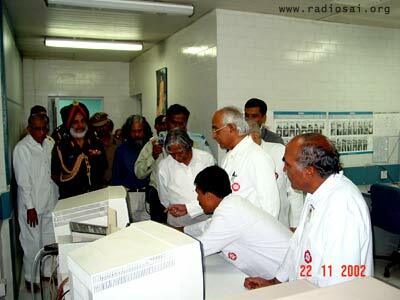 The patients are long gone…happily leading the lives that they now owe to Bhagawan. 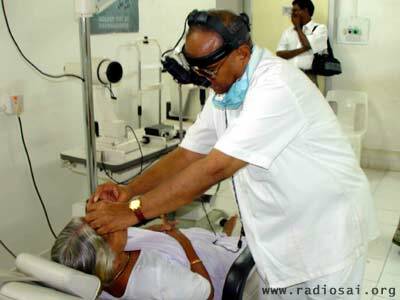 Finally, to the Department of Ophthalmology, which offers a complete spectrum of comprehensive and advanced diagnostic and treatment facilities for all disorders of the eye. 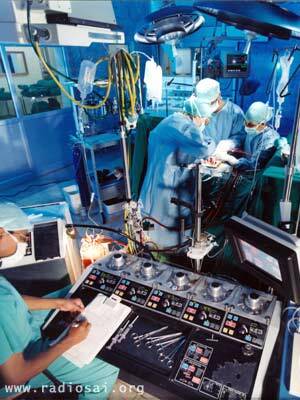 The investigative tools here, are state-of-art, and are complemented only by the expertise of the doctors. The President keenly listens to Dr.Sasirekha explain the way the FFA machine locates the tiny blood vessels that are damaged in a patient's retina. The damage is then quickly remedied using a laser, before the patient is plunged into a world of total darkness. Yes…the Hospital indeed is a beacon…for lives lost in the hopelessness of disease. As you drive on, look back, at this Edifice of Love and Hope…and carry its memories with you… discover the joy in giving…and celebrate the joy of living!